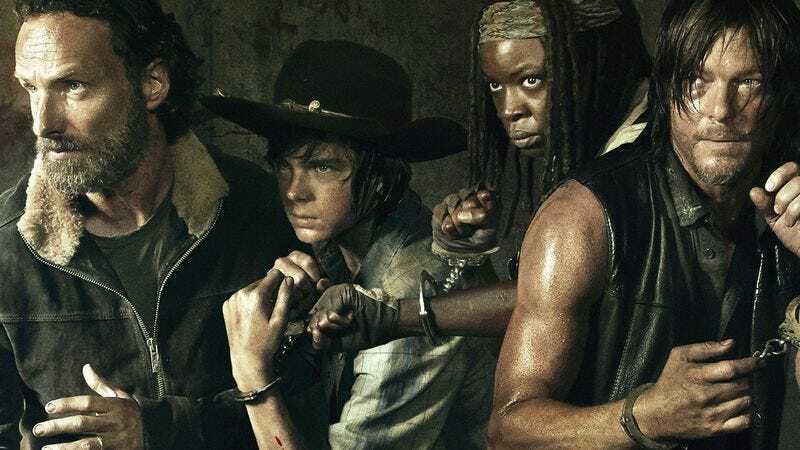 As inevitably as a boy becoming a man becoming a zombie who causes tension between a boy and a man, AMC has issued a renewal to The Walking Dead, days before Sunday’s fifth-season premiere. The pickup for a sixth season isn’t at all surprising, considering the show continues to be the network’s strongest performer by a wide margin, and has prompted both the development of a companion series and the confident declarations from producers that it has plans through season 12. The only thing mildly surprising about the announcement is that AMC also confirmed the return of Scott Gimple, making him The Walking Dead’s first showrunner to last three seasons in a row. He credits his continued success to an innovative strategy of supplying viewers of a zombie show with scenes of zombies.